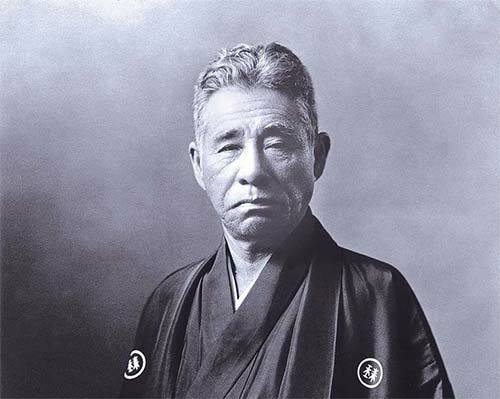 More than 120 years ago, Kokichi Mikimoto, a man with the skill of a scientist and the soul of an artist, succeeded in creating the world's first cultured pearl. Today, Mikimoto is the foremost producer of the finest cultured pearls and a global leader in exceptional design of jewelry crafted with these gems of the sea. 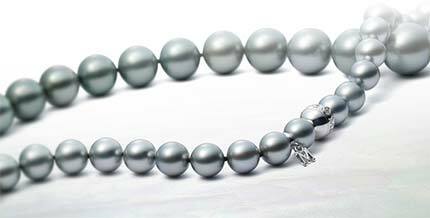 The Mikimoto name is, in fact, synonymous with superior quality. Each beautiful pearl strand, necklace, pendant, pair of earrings, bracelet or ring reflects unparalleled care, dedication and passion. Mikimoto means timeless elegance and sophisticated, modern design. It is a pleasure to wear and own the finest cultured pearls in the world! The eldest son of a noodle-shop owner, Kokichi Mikimoto was born on January 25, 1858, in Japan's Shima peninsula, in the town of Toba. When he was 11 years old, his father fell ill, and the young boy sought his fortune, bolding interacting with other cultures and exploring new opportunities, as he developed a keen interest in Ise Pearls, natural pearls found in his town, fetching high prices, and being gathered without restraint until they became more scare with each passing year. Mikimoto was concerned about the extinction of the pearl-producing oysters and set out to grow pearls within his own protected oyster beds on Ojima Island. When Mikimoto learned that Akoya oysters produced the best pearls, he explored methods to introduce a particle into the flesh of the oyster that would stimulate secretions of “nacre” that built up in hundreds of thousands of layers to create a lustrous pearl. Enormous research efforts, coupled with experimentation, ensued and on July 11, 1893, Mikimoto's wife brought up a basket of oysters from the sea for inspection that showed a cultivated pearl as worthy as a natural one nestled within the folds of an oyster. Three years later, in 1896, Mikimoto was granted his first patent for cultured pearls, and a business was born! Mikimoto continued to advance the science of pearl cultivation and conquer new challenges in the decades to come. His first pearl boutique opened in Tokyo's Ginza district in 1899, with stores in London, Paris and other major cities soon following. His products were exhibited, creating many astounding displays that spread the renown of the brand. As an ambassador of cultured pearls, many honors were bestowed upon the passionate and devoted Mikimoto: He was appointed to the House of Peers, introduced to Thomas Edison, invited to the Imperial Palace, and exhibited at the Chicago World's Fair. Mikimoto lived to be 96 years of age. Upon his death, he was awarded the Grand Cordon of the Order of the Saved Treasure. His brand and vision live on today, in elegant, luxurious and distinctive products that combine Japanese metalworking craftsmanship with European manufacturing techniques that make them more in-demand than ever!